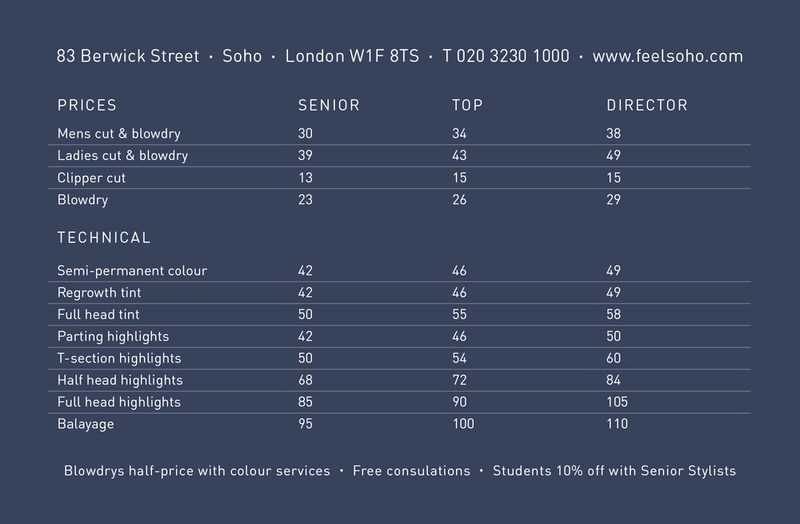 Cards updated — FEEL Hairdressers Soho Best London Salons amazing service. Now updated without scissors and the price list on the back of the blue one (general one). The red one (Directors?) has the Marilyn quote on the back. What do you think?